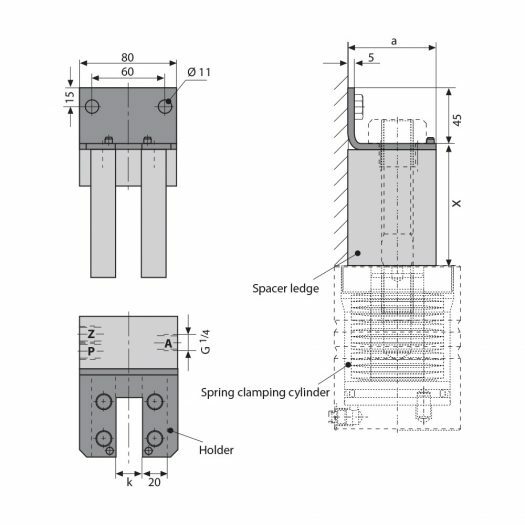 Manual positioning of the cylinder on the die clamping edge. 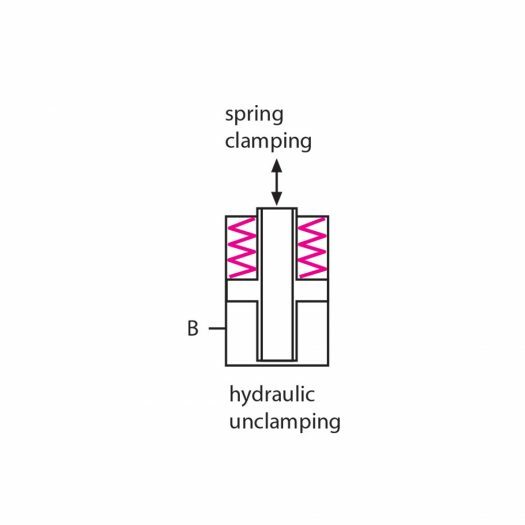 Unclamping is carried out by applying hydraulic pressure to the piston, clamping takes place by spring power. 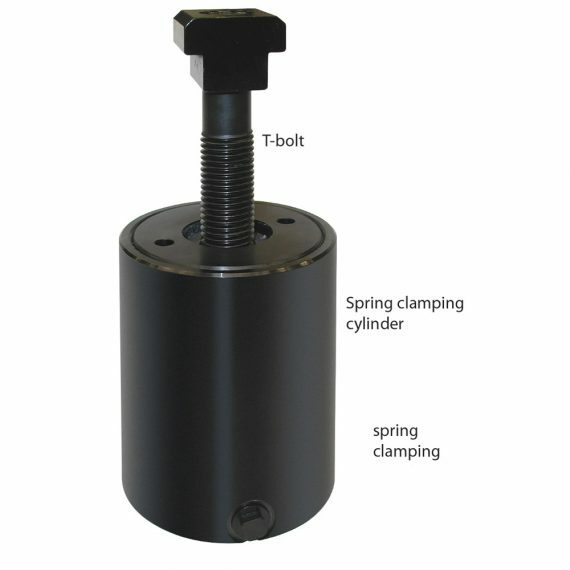 By means of the T-bolt the die is clamped against the clamping surface of the press ram or bed.